Wifealiciousness and I were heading for the Zoo with the kids the other day when we spotted Nanna on the other side of the street. Waving ensued and Nanna crossed over to say hi. 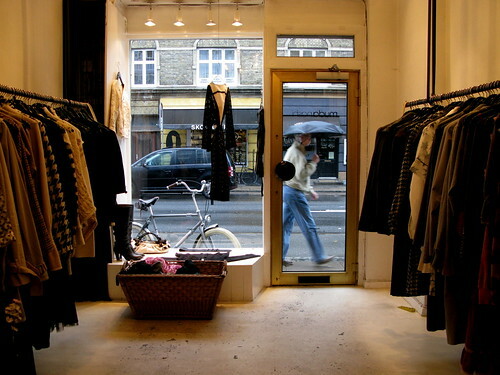 Nanna has one of the coolest luxury second-hand shops in the city. Muda Nashi, which means Nothing Wasted in Japanese. It's located at Godthåbsvej 11A, in Frederiksberg. Looks like a great shop. In thrift shops, some of the valuable things can be found. From the souls point of view. And maybe too expensive prices.